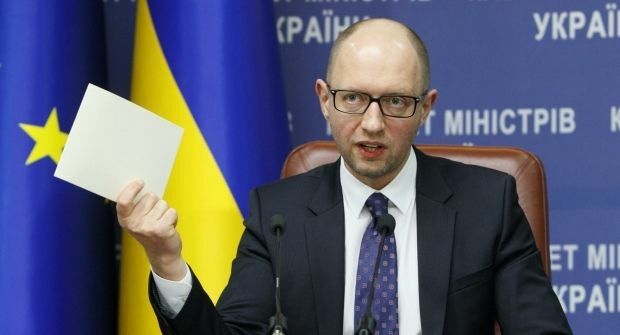 The fall in Ukraine’s GDP in 2014 will be 7% and the budget deficit 4%, which are acceptable results considering the country is at war, Ukrainian Prime Minister Arseniy Yatseniuk said on Wednesday. "The economic decline was forecast at 10%, [but] now we are expecting 7%,” Yatseniuk said during a meeting of the cabinet, according to an UNIAN correspondent. “Although this is a negative indicator, in a state of war such a result is a normal one,” Yatseniuk said. At the same time, Yatseniuk noted that Ukraine would have been unable to meet its external obligations in 2014 of $9.1 billion without the help of international lenders, who helped to raise about $8.6 billion for the country. "The government has resumed cooperation with international institutional investors, the help of which we appreciate,” the prime minister said.